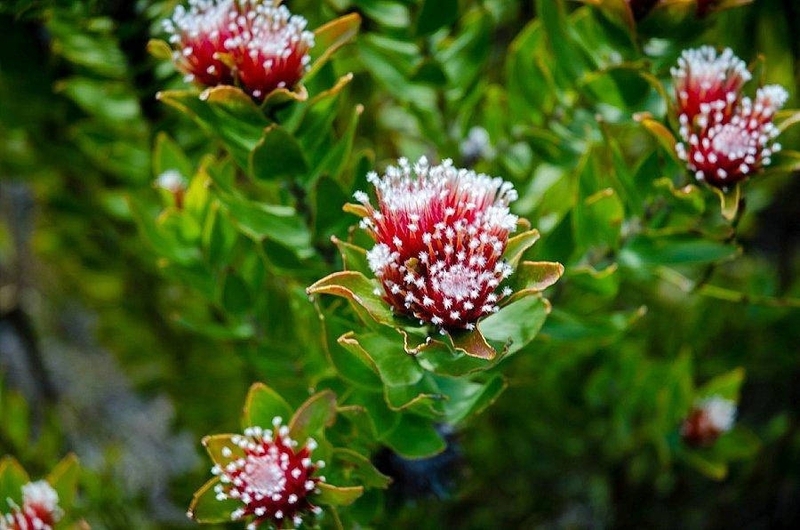 Fynbos is a type of heath land unique to the Western Cape of South Africa. It is the richest floral kingdom in the world. 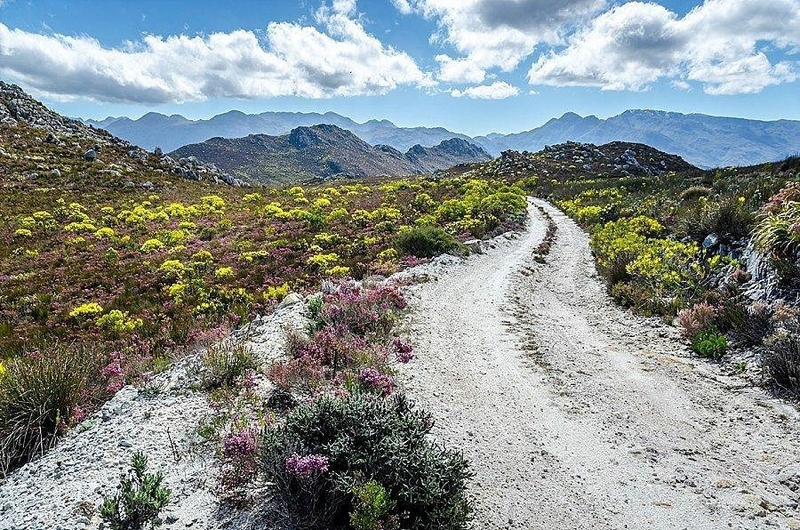 The Green Mountain Trail walks through the Kogelberg Biosphere, a 100,000 hectare area that is home to 1900 plant species – the densest in the world. Listed as an UNESCO World Heritage Site there are several endemics, among them the Marsh Rose (Orothamnus zeyheri), the Silver Pagoda (Mimetes hottentoticus) and Mimetes stockii. All the farms we visit are family owned and each has its own story. BEAUMONT is a charming family-run farm and winery and is the final stop on the Green Mountain Trail where lunch and wine-tasting is enjoyed. It has the region’s oldest wine cellar, and is steeped in history, dating back to the 1700s. OAK VALLEY is one of the largest in the area known for its fruit, cut flowers, beef cattle and for its high quality, cool climate, wines. It also produces acorn-fed, free range pork, that source their food from the 4,000 plus oak trees that give the farm its name. 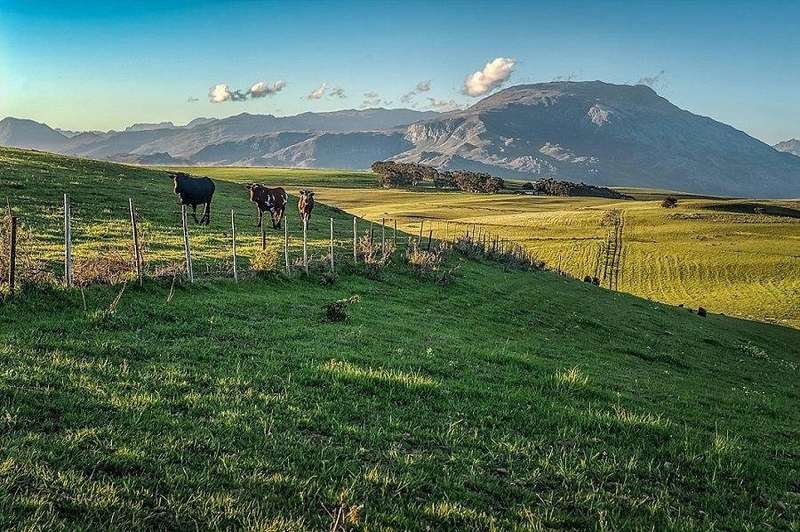 PAUL CLUVER covering an area of over 2,000 hectares this is the largest farm in the Green Mountain Trail family. Half of the estate has been set aside for conservation into perpetuity. The farming of apples and pears is combined with a Hereford stud and ecotourism activities, including outdoor concerts, and adds to the wine production activities of the estate. PORCUPINE HILLS is an olive farm and is the starting point for the walk. Black eagles nest on the cliffs directly above the homestead. 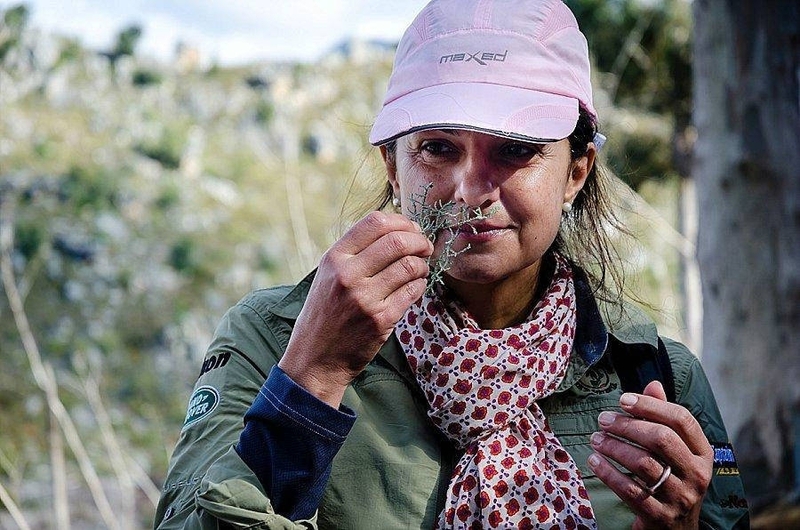 The farm also boasts a large expanse of renosterveld, an endangered feature in the Cape Floral Kingdom. 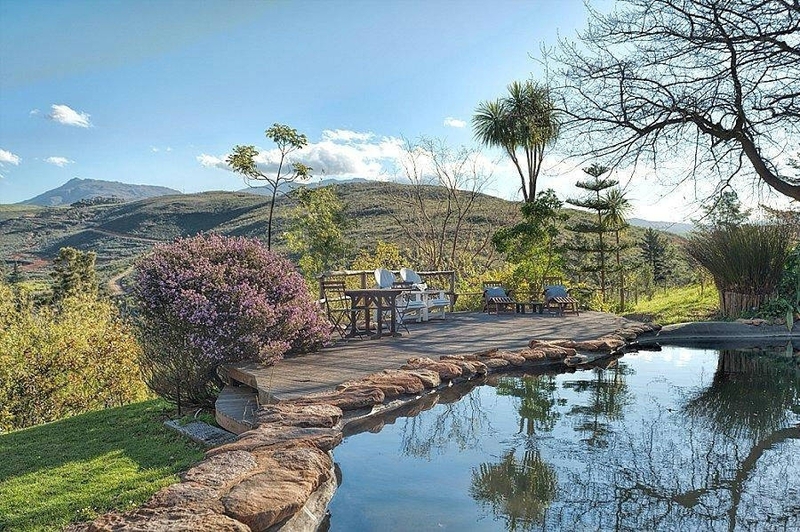 WILDEKRANS COUNTRY HOUSE is a historic 1811 homestead with a rambling country garden. Home to a private collection of South African contemporary art and antique furniture, the atmosphere is relaxed, quirky and ancient, all rolled into one. The combination of fresh air and hiking never fails to build an appetite. The diversity of the area is also be appreciated by the palate where the food and wines enjoyed by trailists reflect the differences in soils and rainfall. Feedback from walkers describes the food as: ‘a veritable feast’ and ‘it’s as much a gourmet experience as it is a hike’. 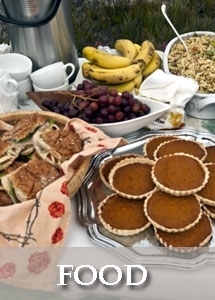 The cuisine is seasonal and fresh, produced on many of the participant farms. Apricots and apples, watermelon and winter melon, plums and peaches are just a few of the locally grown ingredients that find their way onto the dinner plates of Green Mountain Trail walkers. Walkers frequently ask for the recipes of the dishes served on the trail so we figure we’re on the right track! Some of the favourites are: melanzane, slow-cooked lamb shanks, fresh herbed fish poached in Sauvignon blanc, and berry pavlova. On the higher reaches of the walk hikers may catch sight of klipspringers standing like sentinels against the sky. Nesting Verreaux’s eagles is another special for the area. Bontebok, grysbok, duiker, eland, zebra, springbok may all be seen on the plains while secretive leopard and caracal slip by unseen or by night. 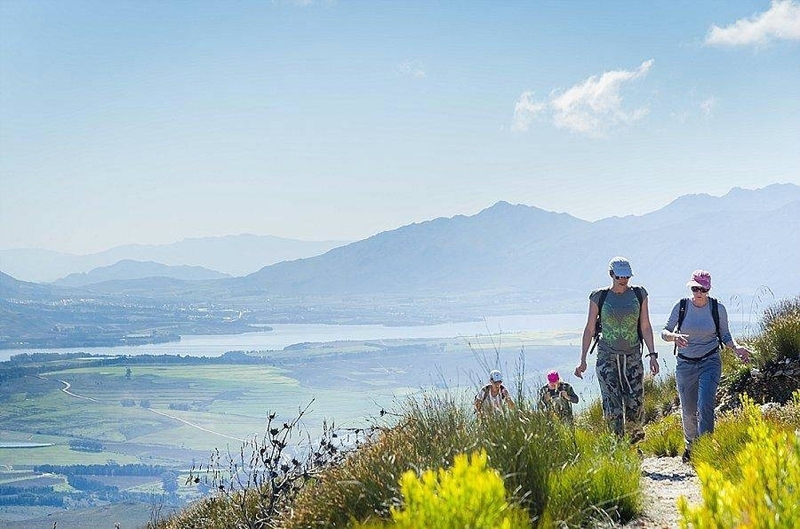 With over 200 species of birds sighted in the Kogelberg Biosphere Reserve the walker can expect to be rewarded with sunbirds, sugarbirds and many others. The evocative cry of the fish eagle may also be heard in the silence of the wild.